The Rocks and Darling Harbour are good opportunities to explore the local culture. Step out of Sydney with an excursion to Featherdale Wildlife Park in Blacktown--about 46 minutes away. 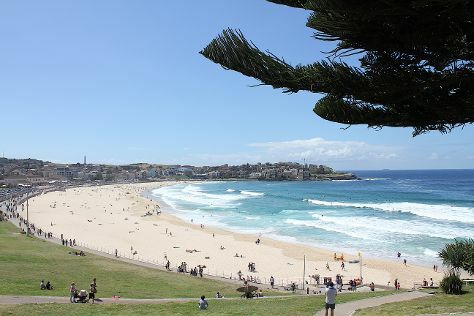 Next up on the itinerary: kick back and relax at Bondi Beach, identify plant and animal life at Muogamarra Nature Reserve, see the interesting displays at Australian National Maritime Museum, and trek along Bondi to Coogee Beach Coastal Walk. To see reviews, where to stay, and tourist information, refer to the Sydney trip planner . Chicago, USA to Sydney is an approximately 23-hour flight. You can also do a combination of flight and train. Traveling from Chicago to Sydney, you'll lose 16 hours due to the time zone difference. Traveling from Chicago in December, things will get warmer in Sydney: highs are around 81°F and lows about 65°F. Wrap up your sightseeing on the 26th (Wed) early enough to travel to Uluru-Kata Tjuta National Park. Start off your visit on the 27th (Thu): stroll through Kuniya Walk, explore the activities along Mutitjulu Waterhole, then explore the striking landscape at Uluru, and finally trek along Uluru Hiking Path. Here are some ideas for day two: view the masterpieces at Walkatjara Art, get your bearings at Uluru-Kata Tjuta Cultural Centre, then take in the awesome beauty at Kata Tjuta, and finally get outside with Walpa Gorge. To see other places to visit, where to stay, traveler tips, and more tourist information, read Uluru-Kata Tjuta National Park day trip tool . 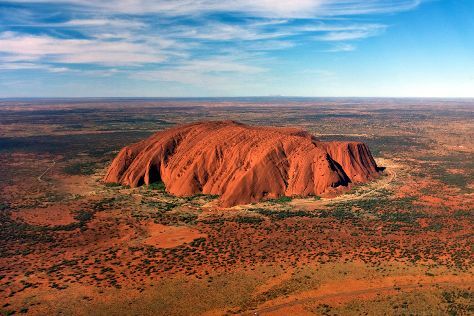 You can fly from Sydney to Uluru-Kata Tjuta National Park in 5.5 hours. Alternatively, you can drive. When traveling from Sydney in December, plan for a bit warmer days in Uluru-Kata Tjuta National Park, with highs around 97°F, while nights are about the same with lows around 70°F. Finish up your sightseeing early on the 28th (Fri) so you can travel to Melbourne. 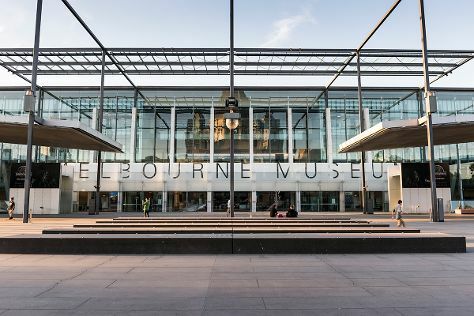 Melbourne Museum and Shrine of Remembrance are good opportunities to explore the local culture. Spend the 31st (Mon) wandering through the wild on a nature and wildlife tour. There's lots more to do: admire the masterpieces at National Gallery of Victoria, look for all kinds of wild species at Trin Warren Tam-boore, take in panoramic vistas at Eureka Skydeck 88, and take in nature's colorful creations at Royal Botanic Gardens. To find more things to do, reviews, maps, and other tourist information, refer to the Melbourne vacation planner. Traveling by flight from Uluru-Kata Tjuta National Park to Melbourne takes 5 hours. Alternatively, you can drive. Traveling from Uluru-Kata Tjuta National Park in December, expect Melbourne to be little chillier, temps between 78°F and 54°F. Finish your sightseeing early on the 31st (Mon) so you can travel back home.